What is better than a low cost gaming aid? 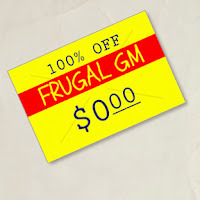 The Frugal GM will periodically post some links to good, possibly great FREE stuff that other GMs could get some use out of. There is a lot of great stuff out there that is free for the taking, assuming you can find it. 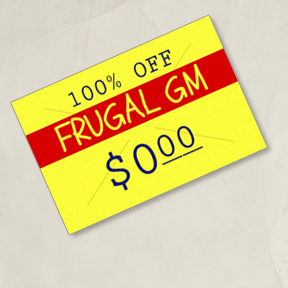 If you happen to have something you'd like to share, feel free to drop me an email at FrugalGM on gmail. While I have a growing list of things I want to share I'd like to start off with something small and easy for a task that is anything but: town generation. The folks over at The Red Dragon Inn have been around since 1990 and among their more useful creations is a Random Town Generator. Now I have a bunch of random tables for names and magic items, but when it came to a good, quick town generator I wasn't able to produce a good one even though I had a lot of the pieces and parts figured out. What I like about this town generator is that you have just a couple of options to choose and you can go to town....sorry about the pun. I'd recommend generating a few of every size with the appropriate racial mixture and printing/copy the information over to some cards or even a sheet or two of paper. If you end up needing to come up with a quick hamlet or village you can just pull one of your prepared sheets and wing it. Your players won't know you weren't ready for them to go off in an unforeseen direction.